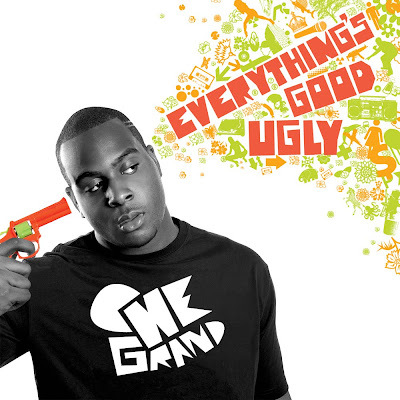 Today, NY's Che Grand decided to put his very good release from last year "Everything's Good Ugly" up on Band Camp for the low price of $5.00. As he's seen associates like trio Tanya Morgan rise through the ranks of independent shows and the internet to gain critical acclaim, Che Grand set his sights on doing the same. Without grappling at others' coattails, Che took it upon himself to collaborate with like-minded artists and producers to create his own sound. Beat crafters like Wale Oyejedi, Illmind and singer/songwriter Colin Munroe all incorporate their unique touches on the album. Through the release of promotional mixtapes, singles and videos online, Che Grand has amassed his own fanbase, while maintaining the collective approval of his rap associates. The son of Nigerian immigrants in Britain, Che always dreamed of reaching the American Hip Hop audience with global appeal, and reaching the world with his sound.